There is a good and healthy amount of stress that pushes us to perform and compete! And then there's the ongoing nagging destructive force of stress that simply does not enhance our life in any way. 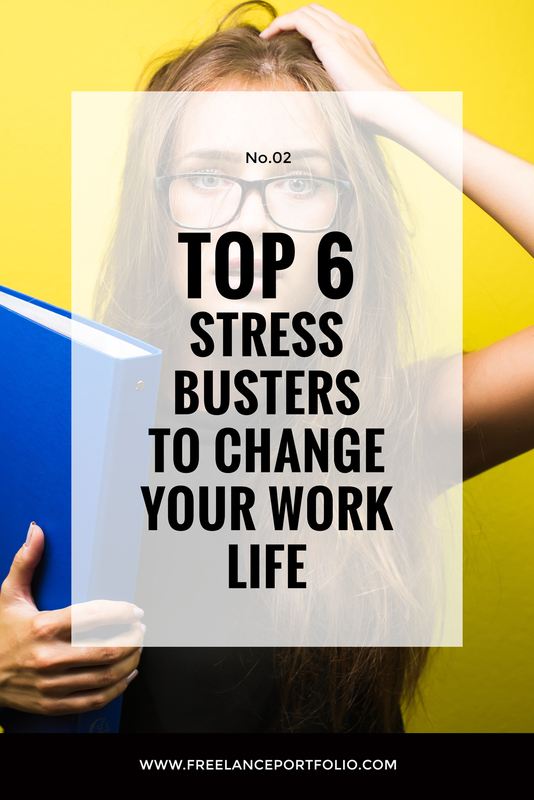 Let's explore 6 top stress busters to help us through our work day. Recently in our social media feeds, we posted about the top 10 careers that have been rated as most stressful. Business News Daily reported this year that “Event Coordinator” has been rated the fifth most stressful career in 2017*! It got me thinking about why or how our company happily takes on the stress of event planning for our clients, and the kinds of ways we combat work stress in our own lives. You are lying in bed, eyes closed but heart racing. The events of the day streaming like online media through your brain. Did you remember to hit send on the drafted email response to your largest client? Did your assistant get that overdue package in the mail today? Will you find the right guest speaker for that team-building event in Fall? I think we’ve all felt this way about work in some capacity. So what do you do with this anxiety? Lots of us lay there and hope for some sleep before waking up to restart the cycle of stress. We know it is not good for our mind, body or soul, yet many of us put off finding a way to deal with stress until it rears its ugly head, manifesting itself in detrimental ways. Let’s face it, there is a good and healthy amount of stress that pushes us to perform and compete! And then there’s the ongoing nagging destructive force of stress that simply does not enhance our life in any way. What do YOU do to conquer your stress? Is it even realistic to manage lower stress levels from day to day? There are oodles of articles you can read on stress busting. I’m sure I won’t cover anything new here. But I’d love to challenge you to give just two or three of these techniques a try and see if they do you any good! Some people may respond better than others to certain anxiety reducers but hey — I’m giving these tips out for free so what do you have to lose? Breath – Take 3 slow, deep breaths in and out through your nose. Mindfulness – While you are sitting up straight and slowly breathing… live. in. that. moment. Focus on your breath in, breath out; push out all of your other thoughts in that space. Only the breath in and out are what matter. You have not lost time in your day. In fact this will take all of 30-60 seconds and help you refocus into being more productive! I dare you to try it. See if your gut feels better and your thoughts calmer. 2. ARE YOU HAVIN’ A LAUGH? One of my personal favourite stress busters is laughter. Studies have shown that even forced fake laughter will do the trick! But why “fake it til you make it”? Honestly, there is always something to chuckle over. In our office, for instance, we like to hide around corners to startle each other. And well, OK… that may not always be a good idea in all circumstances. But in our group — after the initial scream and payback threat — it always leads to laughter. Heh heh. Who are you, Simon & Garfunkel? Come on, none of us can do all the work all the time. That is why we have assistants, co-workers, associates, and why we outsource. It is important to recognize those times when we have either taken on too much ourselves or when too much has been put upon us. We have two choices: say no to more work, or delegate to a person or a vendor who has the time, resource and expertise to handle what we can’t accomplish. 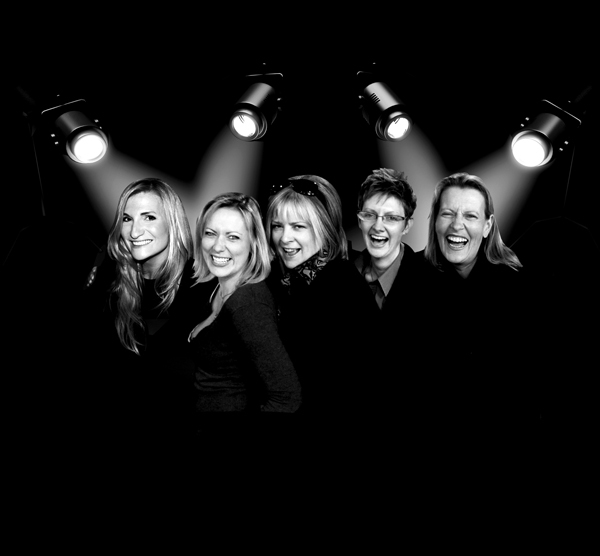 We had a large corporate client approach us about their event coordinating dilemma. They were preparing for a week of large multi-national sales meetings. They could have assigned double duty to a few of their own employees and compound the stress these people were already experiencing in their work life. But truly — it was just too large an undertaking. They recognized that in order to really make these annual meetings the kind of impactful experience they needed it to be, they were going to have to delegate to professional event coordinators. To our delight, they chose us. While event planning is indeed a stressful job, we are familiar with the stresses and how to diffuse them. We have techniques and sources in place and are able to devote complete focus on any event, large or small. Because, not only is it our job, we happen to thrive on the challenge event planning presents. For us, this is “performance stress” and we eat it up like candy. Our client’s decision to delegate event planning to professionals took pressure off of their own employees who could then focus on generating business as usual. In the end they saved money and what could have been completely unnecessary stress overload on their employees. But they still got to reap the accolades of a polished and well organized event, which in turn, reflected well on their corporate image. Congratulations you have taken a bonafide mental break from stress and allowed mother nature to give you a hug. Ahhhh! 5. WELL, WHAT DO YOU EXPECT? What are your expectations? What I mean is, when you are stressed about a problem, put it into perspective. If you had to rate it on a scale from 1 to 10 — 10 being an extreme disaster like a life in danger, and 1 being a mild nuisance like a hangnail — how does your stressor score? I’m going to bet most of our work stress-causing nasties rate between a 3 and a 5, am I right? Let’s take this theory for a spin. You are giving an important presentation in three days. You’ve barely started and dread speaking in front of a group. Yikes! That is nerve-wracking! OK let’s pause and remember what we saw on the news last night. People in other countries being chased out of their homeland, families unable to feed their children, and so on. Not to bring the tone down but, really? Is it worth being as stressed over your issue as you think? It truly is not worth sweating the small stuff. And mostly it really is small stuff when you look at the big picture of life. 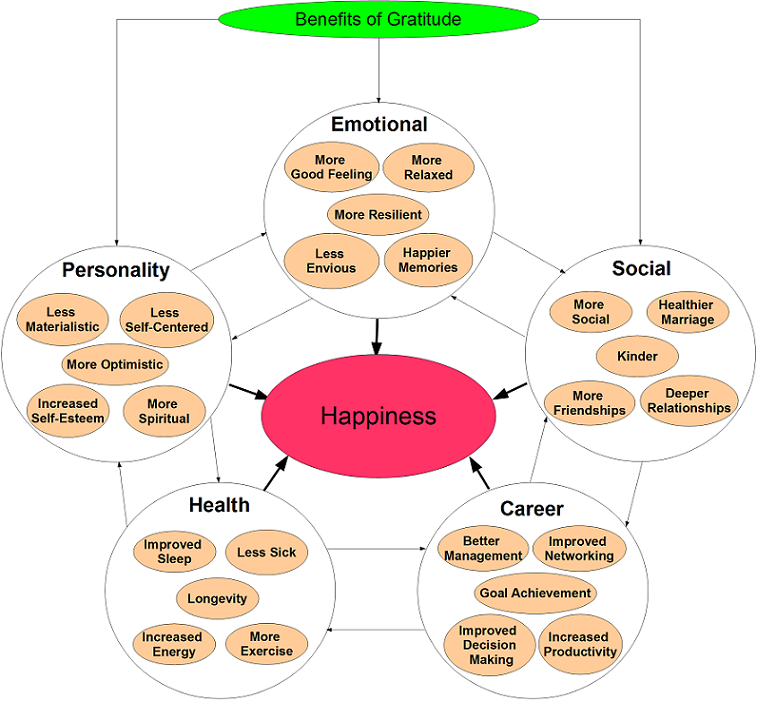 The last stress buster I’m going recommend is the practice of gratitude. Thinking about #5 above, I mean, holy cow, I’m guessing most of us have got it pretty good. Yes, there is no denying that we have everyday problems in our life and yes, life does throw us some pretty nasty painful situations as well. But if there is one thing I’ve learned in my 48 years of existence on this planet is that circumstances do not improve and spirits do not lift when you dwell on only the bad stuff. If you lead office meetings, start them out by asking everyone around the table to name one thing in their life that fills them with gratitude. Keep a personal gratitude journal. At the beginning or end of every day, write down three things you are grateful for, big or small. The act of writing it down helps you consciously remind yourself there are indeed many things to be grateful for, and many things we take for granted. Express to someone today why you are grateful for them; watch their face light up. In this writer’s opinion, gratitude and kindness are not only great stress busters at work, they are a healthy exercise in happier living in general. So what about you? Have you tried any of the above techniques? If so, have you found some tranquility? Remember that these are not one time fixers but techniques to practice regularly in order to derive greater benefit. Stress-busting is a personal choice. Only you can become aware of the times you are stressful, find something that tickles your funny bone, recognize when you need to ask for help and delegate, stop what you’re doing and go outside, adjust your perspective and realize overall, life is pretty dang good! I would love to know if you have found these tips useful or if you have any others you would like to share with me. Email me!